1. Net sheet – Sellers want to know what is their check amount to be after all the fees and closing costs are done-what is the amount you are taking home to the bank. The net sheet does just that by outlining each item and estimating those costs for you and how they affect your bottom line; and a net sheet should be one of the first things you review when discussing selling price. Similarly, the cost sheet is the same thing for the buyer; namely what is the final cost of my potential new home including closing costs, and how much of that do I have to pay in cash (and when). 2. Contingencies – A contingency is a condition of the sale that allows a party of the sale to walk away if not met. Typical contingencies include loan contingency (obtaining a satisfactory loan for the home), appraisal contingency (home is worth what I am paying), inspection contingency (home inspection satisfies buyer), and a host of others. The most important thing is to negotiate your dates upfront and adhere to those dates unless both parties agree to adjust. 3. Escrow – escrow is the third party who holds onto all monies and facilitates the terms of the contract. When someone says they have ‘a 30 day escrow’, that means escrow is holding onto the funds until both parties have completed their obligations as set forth in the contract, and only one those obligations have been completed will the home officially change hands and escrow closes. 4. Earnest Money Deposit – this is the initial deposit you give to the escrow company to show you are a serious buyer. This amount can be anything agreeable to both parties, but a larger deposit is still considered to signify a serious buyer. 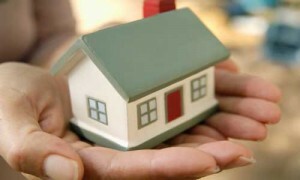 Earnest money deposits are given back to the buyer if they walk away from the sale within their contingency timeframe. 5. Pre Approved – pre approval is obtained when you allow a lender to issue you a letter stating based on information you have given to them that their bank will conditionally pre approve you for a certain loan amount. This is not to be confused with a pre qualification which is much more in-depth (and therefore considered stronger) as the lender typically runs your credit and requests documentation to prove assets, income, debts, etc. Click here to read more blog posts by Kamerin Vince.